I am so excited to have been selected to participate in the VH Excite Your Dinner Blog Tour. My blogger friend Shannon, from Shannon’s View from Here recommended me for round 4 of the tour. I already cook with many of their sauces such as the VH®Mild Garlic Rib Cooking Sauce, the VH® Honey Garlic Cooking Sauce, the VH® Pineapple Cooking Sauce, and the VH® Cherry Dipping Sauce, therefore I was looking forward to cooking more VH recipes. I couldn’t wait for the package to arrive. I did not have to cook the recipes they sent me as I could have prepared my own, but they looked so yummy that I decided to try them out. Both of them can be served as appetizers so perfect for a Holiday reception! You can view many more great recipes or easy meal ideas online at www.vhsauces.ca or on their VH Facebook page. When I presented this recipe to my kids, their responses were Yay, Pizza! It took 2 minutes to prepare and about 8 minutes to cook. 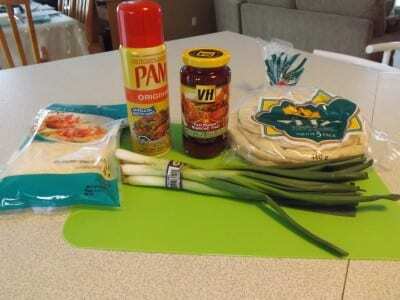 Divide the VH S VH Sweet Thai Chili sauce between each of the flatbreads, spread over entire surface. Sprinkle with green onions and mozzarella cheese over top. Spray grill with Pam and heat to Medium-low. The Flatbread tasted sweet and spicy at the same time. We really liked them. It was a nice change to a Flatbread pizza style with Tomato sauce. The next time I bake it, I will add more vegetables like mushrooms and green peppers. Pour soft drink, add the Grenadine, stir, and garnished with a maraschino cherry. I have made many recipes with vegetables but never used eggplant. I was curious to hear how it tasted so I asked a few people: Eggplant taste bland and without flavour. I ate a piece of eggplant after it was cooked, and have to admit that they were right, but prepared in this recipe, it was delicious. 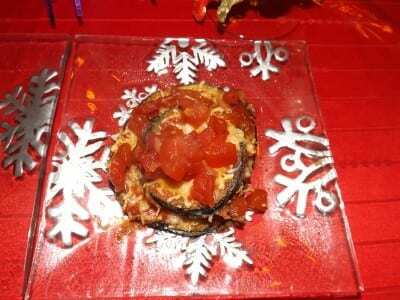 The eggplant was moist and the mix of Italian style breadcrumbs, tomato sauce and melted Mozzarella cheese made it savoury. My son gave this recipe a thumbs’ up, so you know it’s good! The preparation time and cooking time were about 15 minutes each. This recipe serves 4 as a meal with crispy green salad and crusty bread. I only cooked half of the recipe since I served it as an appetizer. I also substituted the Aylmer Accents Petite Cut tomatoes with garlic and olive oil with the Aylmer Accents Stewed tomatoes with green peppers, celery and onion. Preheat oven to 400°F. In large skillet, heat 2 tbsp of oil over medium-high heat. 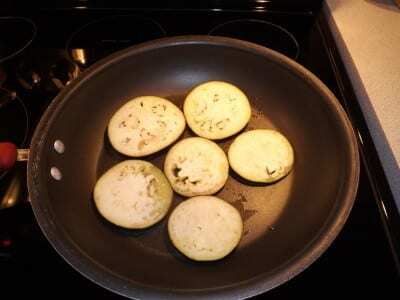 Add a layer of eggplant, fry until lightly golden on both sides, adding more oil as needed, about 2 minutes per side. Remove eggplant to plate. Repeat process until all eggplant is golden. Please eggplant in single layer on foil baking sheet sprayed with Pam® Cooking Spray. 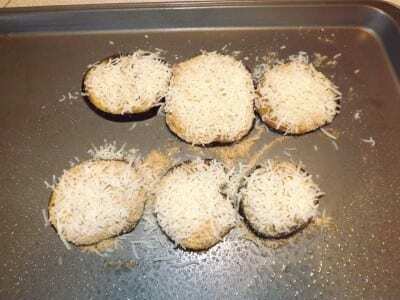 Sprinkle bread crumbs equally over eggplant. Sprinkle cheese over bread crumbs. Place in preheated oven, bake for 15 minutes or until cheese is golden. Meanwhile, in small saucepan, combine Aylmer® Accents Petite Cut tomatoes with garlic and olive oil and VH® Medium Garlic Rib Sauce. Simmer for 5 minutes. Remove eggplant from oven, assemble stacks, starting with a piece of eggplant, then a dollop of tomato sauce. Repeat process and top with a third eggplant slice. Place any remaining tomatoes on plate. Serve warm. I have some leftover VH® Medium Garlic Rib Sauce, perfect for tomorrow night’s rib recipe! If you are looking for new recipes to try out, there is one on every bottle of VH® sauces! Thanks to VH® to liven up our dinner routine! 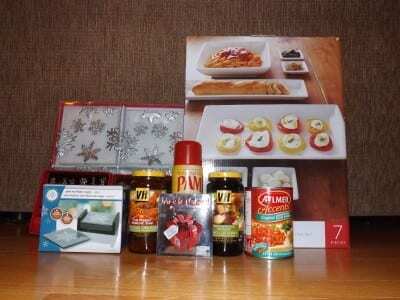 I am participating in the VH Excite Your Dinner blog tour by enCompass Media on behalf of Con Agra Foods. I received compensation as a thank you for participating and for sharing my honest opinion.